For vehicles with type C/type D audio, the Control Status, Fuel Consumption, and Effectiveness are switched and displayed by operating each icon in the display. In addition, after completing a trip, the total energy effi ciency to date is displayed in the ending display when the ending display is turned on. Select the “Fuel Economy Monitor”. Operate the commander switch or touch the screen and display the menu. When the menu is displayed by touching the screen, the display is hidden automatically after 6 seconds. 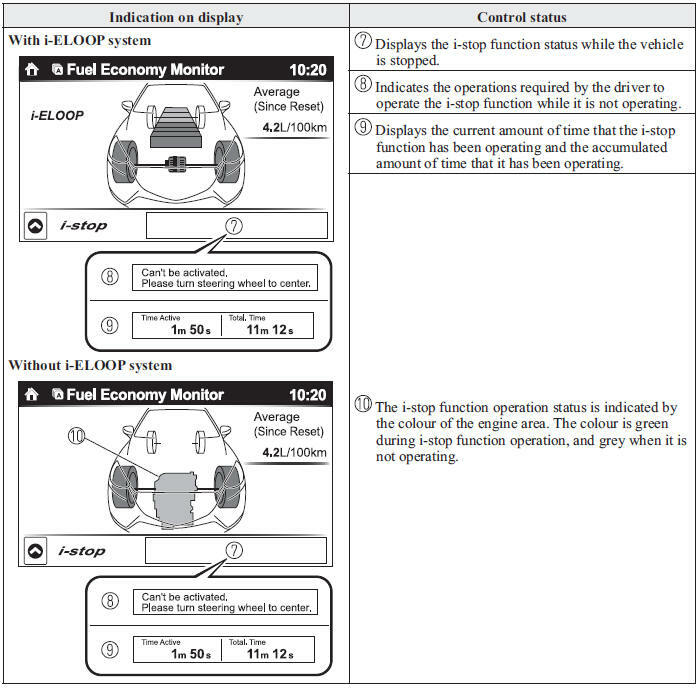 Information regarding the fuel economy is displayed. Press the reset switch from the menu screen. When the function which synchronizes the fuel economy monitor and the trip meter is on, reset trip A of the trip meter. Delete the average fuel economy information displayed in the trip computer. After resetting the fuel economy data, “-- -” is displayed while the average fuel economy is calculated. The i-stop operation status and the i-ELOOP power generating status are displayed. The actual performance of the energy effi ciency is displayed. 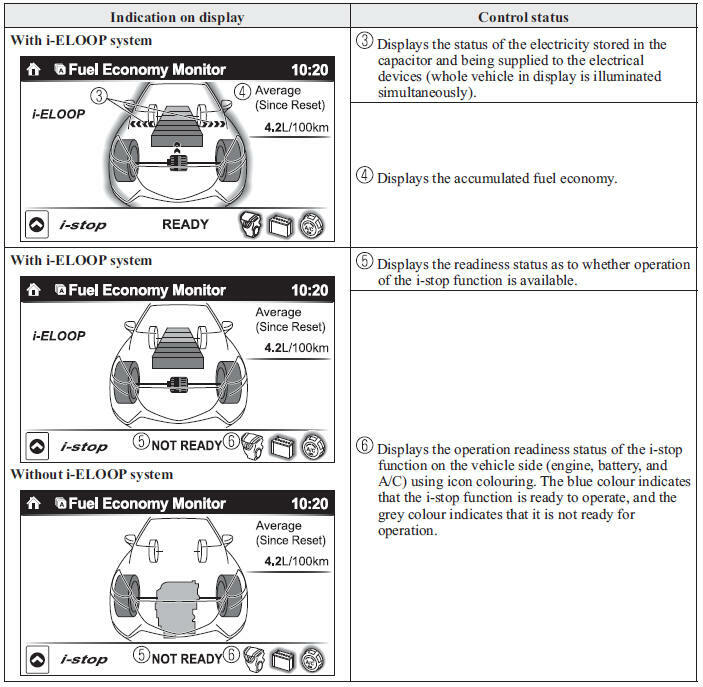 When the ignition is switched off from ON after completing a trip, the actual performance for the total fuel economy effi ciency is displayed for 5 seconds.